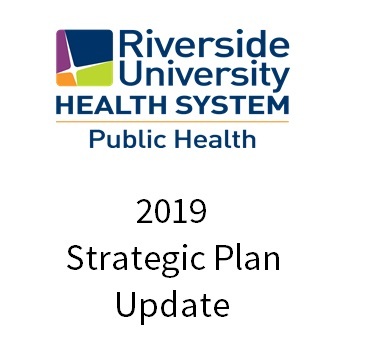 Welcome to the website for Riverside University Health System-Public Health. We offer a wide range of services and programs, with a staff of 700 doctors, nurses, health educators, nutritionists, communicable disease and community program specialists, managers and fiscal and support staff. Ours is certainly a large department, but we aim to treat each client and visitor with care that is as unique and individualized as possible. Our mission is simple: to promote and protect the health of all county residents and visitors in service of the well-being of the community. It's all part of our vision for healthy people and a healthy community! 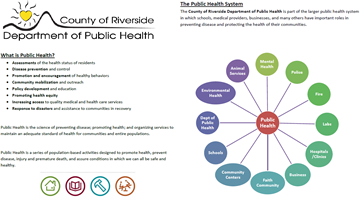 What is Public Health in Riverside County?